Probable specifications of Phase 3 (the shipping phone) of PinePhone were posted by tllim and lukasz of @PINE64 on the #pinephone IRC channel on 2019-02-21. Subsequent details have come from the Pine64 forum, @thepine64 on Twitter, @PINE64 here on the UBPorts forum, and now the Pine64 wiki entry for Phase 3 of the PinePhone. I haven't yet gotten the hang of text formatting on this forum so not sure how to add colored text, so I'm putting my annotations in bolded italics. The LCD panel that will soon be delivered on the Phase 2 dev kits is the same as the PinePhone LCD panel but smaller (5.7" vs. 6.0"). LTE bands 1, 2, 3, 4, 5, 7, 8, 12, 13, 18, 19, 20, 25*, 26, 28, 38, 39, 40, 41. Per this post by tllim on the Pine64 forum, the modem will be soldered in place in order to keep the phone thin. *probable, per the Wiki and @PINE64's post below. VoLTE support obviously this depends on both software support (does Ubuntu Touch support VoLTE?) and carrier support (e.g., AT&T in the US restricts VoIP to a small list of devices, though when they go VoLTE-only in 2022, the FCC may force that to change). Edited post to remove mention of a potential upgrade in specs. Let us see what happens and not put any pressure on Pine64 one way or another. Selfie Camera: Single GC2035, 2MP, f/2.8, 1/5"
The hardware privacy kill switches will be placed inside the case, meaning you'll need to peel off the back of the case to access. This prevents accidental switch off. this tweet refers to the case back as easily removable. Samsung J7 3000mAh battery - "they are reliable, relatively inexpensive and easily attainable in most places we checked ... they will also be around for quite some time." Battery is easy to replace, so that user also can carry a spare battery. No glue - disassembleable with only a screwdriver. GNSS: GPS, GPS-A, GLONASS EG25-G appears to have additional capabilities, but let us not count on them for now. Pending development progress, the PinePhone prototype could come as early as July and actual delivery occur in Q4. PinePhone - Phase 3, the shipping phone. I think this is really quite exciting!! You're welcome. Me too. I pre-ordered the Ubuntu Edge (RIP) and Librem 5 in the first hours of their crowdfunding, but they were both too expensive to attract casual interest. 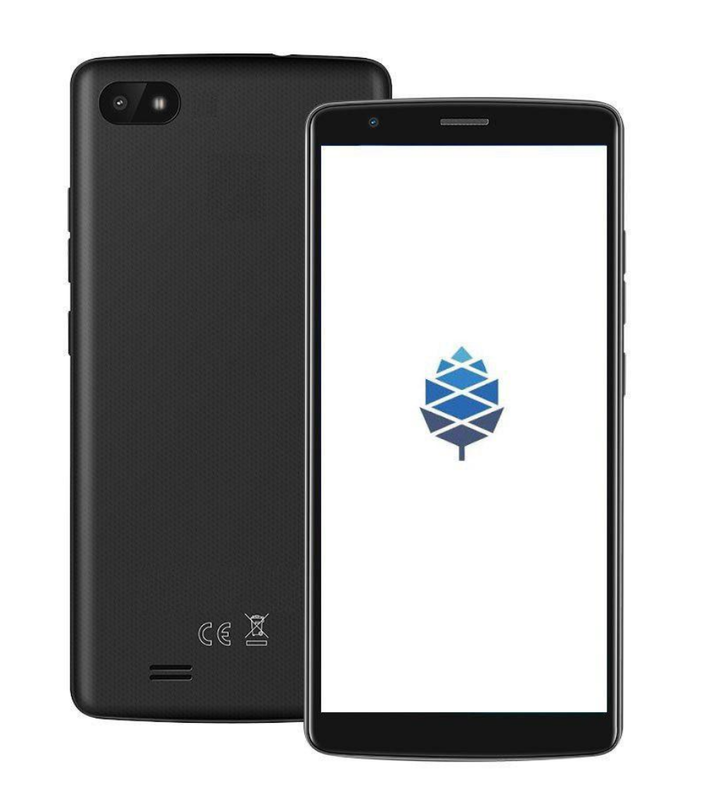 Quite apart from my own interest in it, the PinePhone looks to be the non-Android Linux phone I'll finally be able to recommend to people less willing to gamble much money on unfamiliar and still-developing hardware/software stacks. @trainailleur thank you for posting that. Do you have any info about the camera specifications? Maybe they'll be the same than the devkit camera (?) that's "2mpx and 5mpx front / back cameras" now. You're quite welcome. I thought people here might be as interested in that info as I was. I haven't seen anything about the cameras yet, but I'll post it here if I do. Camera quality is important for me, that's why I switched back to Samsung S8 with Android, after using the Ubuntu phone for many years. If the video quality is poor, it's useless for me and I always have to carry two phones, or a phone and an extra camera. @PINE64 Sounds really interesting, I'm going to wait a bit more to change my phone. Operating wise, it's going to be : Who ever is going to port on it ? Will you sell it with an operating system ? @PINE64 Thanks for info. Questions : 2GB memory, it could be more ? worldwide shipping ? (i'm from France). You will inform us for the launch date of pre-orders? An excessively large screen is annoying, I think I would stick with the 5.7 inch screen, and it's big. I think that to have good family photos you need a 13 Mpx or 16 Mpx camera. I also think that makes the product more expensive, that's normal, I'd pay 200€ or 240€ for those specifications, like mid-high range mobile phones. Could it be that with the same phone there are two ranges? The Allwinner A64 supports up to a 5Mpx camera. You can't do any more without changing the SOC. Let's get through one generation of hardware at $149 before we think of more opportunities. @PINE64 OK. I wish you the best success for the pinephone in all aspects ! Really looking forward to this and seeing UT running on it! Is there a way to confirm that the Pinephone will work as well "out of the box" as my Nexus 5 running Ubuntu Touch? In other words, would I be losing any functionality by switching to it when it comes out?